BB-13 now positioned and located at 14.4N and 87.3E. as a low at 1000 mb. As mentioned, likely to strengthen and move NW initially. Will be headed towards Andhra Coast initially.Western segment likely to see precipitation from 18th. Mumbai: Monsoon winds likely to change in the next 24 hrs, and humidity levels will fall. Monsoon withdrawal signs clear now. No rains expected Tuesday. According to many international module coming depression or Cyclone will hit coastal Andhra and from that depression continue to move north west direction due this depression central India including Maharashtra and Mumbai will get rain and thunder shower on coming Saturday, Sunday and Monday. 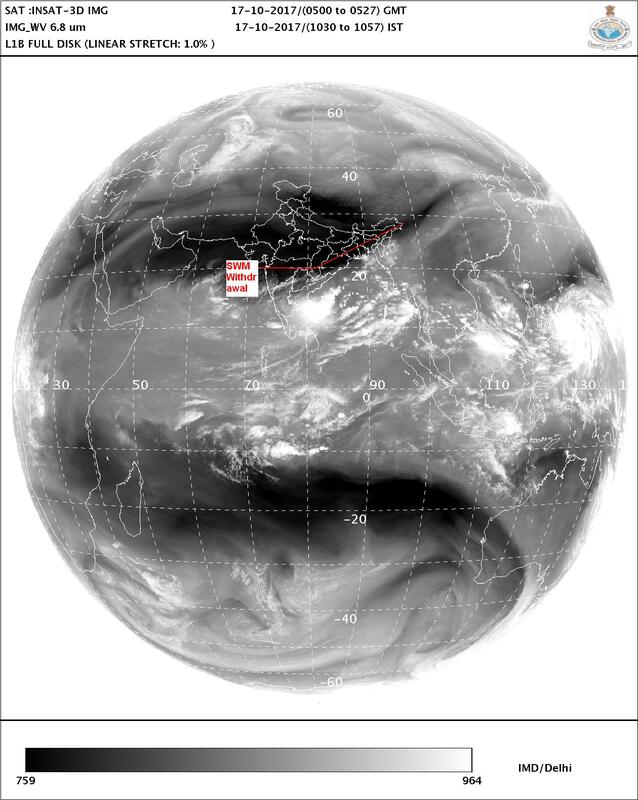 is there any chance -system movement towards west and NEM to commence over south est india ? ?